Serving Asheville, Hendersonville, Greenville/Spartanburg, & surrounding areas! 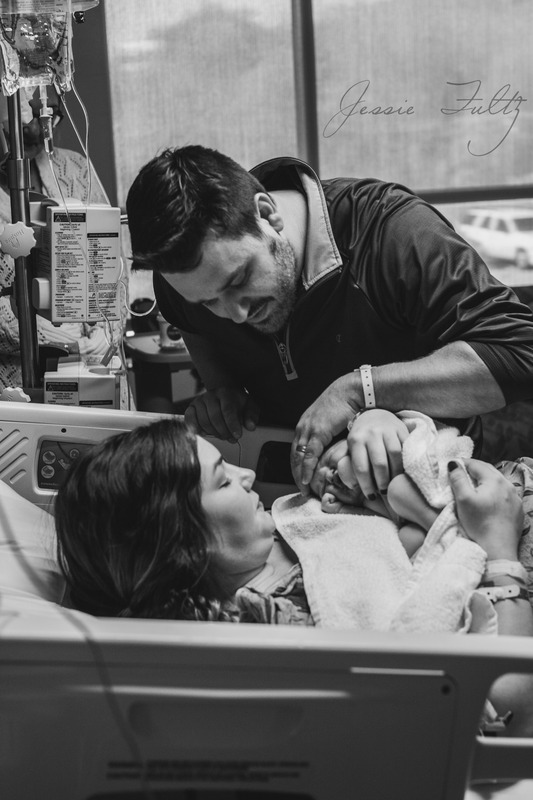 A birth story is exactly how it sounds: the story of your baby's first breath, first time meeting mom and dad, the first time she opens her eyes, and that time leading up to those first few amazing minutes. These are not moments you want to forget! By choosing to have the birth of your baby documented, you are making yourself vulnerable; it is of the utmost importance to me that you feel 110% comfortable with my presence at all times. I always photograph in the most non-intrusive ways possible. Only documenting the details with which you are comfortable. Because of this, we will meet for a pre-birth consultation to discuss all of the details, including your comfort level. I will make sure that you feel like we are friends before I ever step foot into your birthing location! It's just as important to me as it is to you! Now that you have decided that you would love your own birth story, I'm sure you are full of questions. I have answered a lot of the typical questions that are asked, but you can always feel free to contact me with any other questions or concerns you may have! Babies are rarely born on their due date. What if my baby comes earlier than the date I have booked? No worries here. When you book your birth story, I am on-call 24/7 from 39-41 weeks. If your baby decides to say "hello" earlier than 39 weeks, I will definitely still be there unless I have prior engagements. In this case, you will receive credit toward other sessions I offer, including Fresh48. Sometimes labor lasts for a while before mommy and daddy get to meet their new addition. When will you arrive to start documenting? You are very right about that. We all hope that labor goes quickly, but you never really know. This is why I ask you to keep me updated from the time you are starting labor until you hit 6cm dilation. Active labor typically begins at 6cm and that is when I will head to your birthing location. What happens if active labor continues to take a while? How long will you stay? The beauty of birth is that no one is the same and it's hard to predict what might happen. Let's just say it's in my "job description" to tough it out with you. That's why I'm there. I may leave the room for a little bit to rest or grab a water or coffee, but once I arrive, I'm there for the long haul. There's no way I'm missing those special moments! After my baby is born, then what? After baby arrives, I will continue documenting everything that happens. First snuggles, first bath, even your first moments breastfeeding if you would like. All of these moments are making history in your lives, and it's important that you don't forget them. I will stay for up to 2 hours postpartum to be sure I complete your story! This all sounds great! How much do I need to plan on paying? Birth stories are a flat rate of $1200. I know for some people (frankly most of us) that is a lot to come up with all at once. I am perfectly happy to work out a payment plan with you that best fits your family's budget. I do require a $500 retainer fee at the time of booking with the remainder paid in full by 36 weeks. What is included in my package when I book a birth story? Due to the nature of birth, I can't put an exact number on the amount of photos you will receive. Some women have 2 hours of labor, and some have 10, which in turn means I will be taking a lot more photos the longer I am there. I can ensure you that you will receive as many photos as it takes to completely tell your story from beginning to new beginning. All of your best photos will be edited and delivered digitally via a fully downloadable online gallery, as well as a video slideshow set to music for sharing your story with friends and family, and a beautifully custom designed 8x8 storybook album. The majority of your photos will be edited in black and white, with the occasional color thrown in to mix it up. I feel that by sticking with mainly black and white it creates a timeless style and draws the focus to the subjects of the photo and the emotions being shown. Do you have an example of what my slideshow will look like? Absolutely! 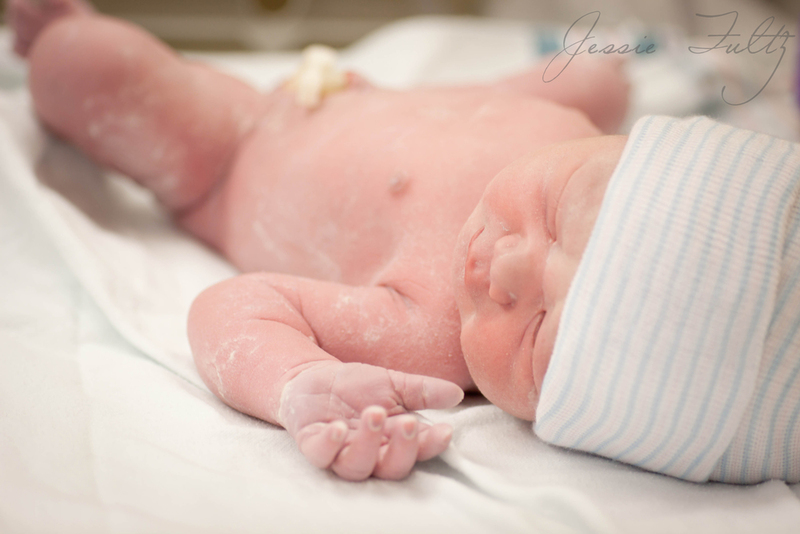 Sharing your birth story via slideshow is one of my favorite methods! I truly feel that being able to just sit back and let the story play out and listening to the music playing in the background really pulls the whole story together. Here is an example from little Olive's arrival! Ready to book your birth story? Contact me today so we can begin getting to know each other! 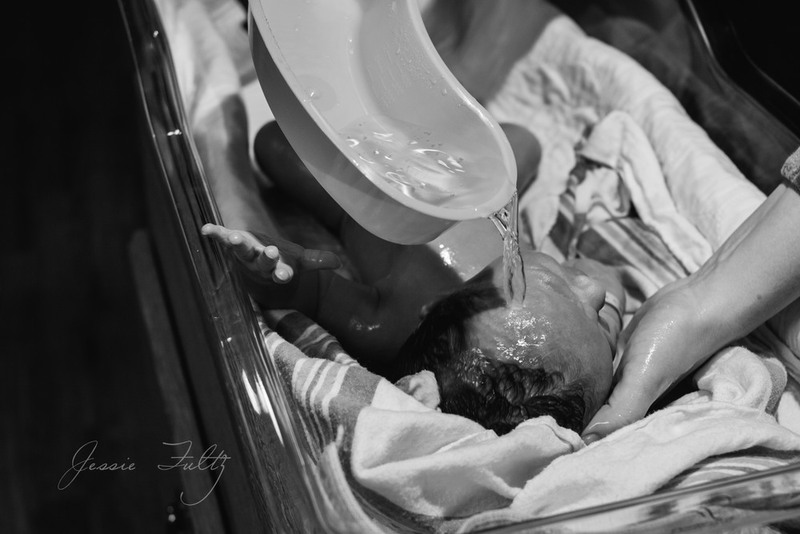 The Birth Story | $1200 - all of the best photos edited and delivered digitally via a fully downloadable online gallery, custom designed Storybook album, and a beautifully designed video slideshow to share your story with family and friends. *Add on your Fresh48 session for $250 ($350 value). Preserve the beauty of today!